Gloria Trevi (Mexico) see: Samples etc. Rick Treviño (US) see: Samples etc. Trezmil (Belgium) see: Samples etc. Triana, like many of their countrymen, played a typically Spanish style of prog, heavily influenced by flamenco; suffice to say, this music couldn't have come from anywhere else. El Patio's... well, not bad, I suppose. Damning with faint praise? Probably; the songs are OK without being anything special, the musicianship's good, but far from outstanding... I think you get the picture. The only Mellotron I can hear on it (from Jesús de la Rosa) is a few choir chords at the beginning of Abre La Puerta, repeating towards the end of the piece. Apart from that, Triana seem to be afflicted by the Spanish Keyboard Disease, otherwise known as the String Synth Syndrome, i.e. an insistence on playing all string parts on a string synth, reserving the Mellotron for choirs. Viruses (if virus it is) know no boundaries, so the syndrome can also be spotted in the work of Portuguese artist José Cid. Maybe there was an international anti-Fascist moratorium in the '70s on Mellotron string sounds. Or something. Tribe of Gypsies (US) see: Samples etc. Tribulation (Sweden) see: Samples etc. Sweden's Tribute had (have?) a rather odd sound; vaguely neo-proggy in places, although with a fusion element missing from all the UK bands of the era and considerable use of mallet percussion, in line with their countrymen Isildurs Bane. I believe they even recorded with Pierre Moerlin, ex-Gong, at one stage, so percussion is obviously a major deal with them. I've heard a later album that I hated, but New Views is really rather good, with an unsurprising Gong influence on a few tracks. The album's quite varied, with the gentle, flute-led A New Morning bearing no relation to the rather cheesy Icebreaker whatsoever, the highlight being its side-long title track, which opens with several minutes of an acoustic guitar duet, before moving into more familiar territory. Now, there are track-by-track instrumental credits on the sleeve, with no mention of Mellotrons anywhere, so what's that I can hear on Unknown Destination? Actually, the credits seem to go a little awry at this stage, anyway; the track segues out of Climbing To The Top and, although there are only synths and bass credited, the drum part carries on from its predecessor. Anyway, Mellotron choirs underpin the chord sequence, credited or otherwise, although I've no idea if the band ever used one again. Incidentally, this is not to be confused with the credited 'choir' on most tracks, which was the group singing large harmony 'aahs'. 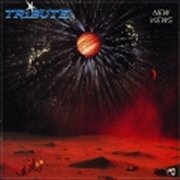 Going by my other Tribute experience, I'd advise caution with their catalogue, but apart from its opening track, I can recommend New Views to the slightly more discerning progressive fan, although I'd give it a miss for the Mellotron. Triggerdaddy (US) see: Samples etc. Trinket (US) see: Samples etc. Trion (Netherlands) see: Samples etc. Triosphere (Norway) see: Samples etc. The Trip were apparently a British band who made their way to Italy in the late '60s (there's a Ritchie Blackmore connection somewhere down the line), who took on a couple of Italian members, and are now known as one of the earliest Italian progressives. Unlike some of their more forward-looking contemporaries, though, it seems they never really escaped their beat/psych background. The Trip (***), from 1970, is a rather average organ-driven post-psych album, with little to recommend it to the prog fan, although it's perfectly good at what it does. The following year's Caronte is only one rung up the ladder, to be honest; it isn't a bad album, by any means, but unlike, say, I GiGanti's fantastic Terra in Bocca, this is an album that's having trouble escaping from the previous decade. William Gray's guitar work is more '67 than '71, although their heartfelt Ode A J. Hendrix sounds a little more contemporary. Joe Vescovi sticks mainly to Hammond, although he smothers the rather ordinary Little Janie in 'Tron strings (Mark II? ), although not nearly enough to consider this any sort of Mellotron Album. There's no 'Tron on the following year's Atlantide, so I rather doubt if there's any on their final album, Time of Change, either. 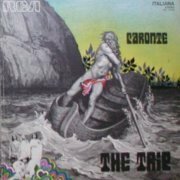 If you're into that late-'60s organ-heavy thing, you'll probably love The Trip, but for those of you discovering the '70s Italian progressive scene, I'd put this lot well down your list. 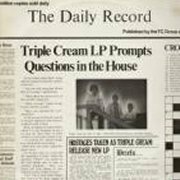 Triple Cream appear to be that most wondrous of things, a cabaret band who release an album containing some of their doubtless vast repertoire (see: Candlewick Green). Of course, the elemental beauty of such records is their monumental cheesiness, as whoever heard of a cabaret act veering away even slightly from a diet of the blandest, most mainstream material possible? Like all such ventures, the Essex-based band's eponymous sole LP (it seems) is perfectly well-played, but anodyne, featuring rather perfunctory versions of The Stylistics' I'm Stone In Love With You and 10cc's I'm Not In Love, amongst others. The award for the most bizarre cover, however, goes to their take on Strauss' 2001: Also Sprach Zarathusa [sic], with the familiar melody played over a funk-lite backing (!) that really has to be heard to be believed. Of course, one of the chief problems with/beauties of this kind of album is how most of the subtlety and nuances of the original tracks are squashed flat, no doubt due to the band's desperate attempt to get themselves heard over loud, drunken twats at whatever godforsaken function they're playing that weekend and being unable to switch back into 'sensitive musician mode' in the studio. I'm Not In Love is a particular case in point here, with whichever member of the trio sings on it getting the phrasing horribly wrong, ruining the melancholy feel of Eric Stewart's vocal, not to mention their budget take on the original's expensive/expansive production. No 24 tracks of vocals 'played' from the mixing desk here, folks... Just a Rhodes, a string synth and the odd backing vocal, although Brian Greenaway's Graham Gouldman-channeling bass part almost makes the grade. Amazingly, Triple Cream are still going, with only one lineup change in the last 30+ years. According to their website, while they still do music (corporate functions and the like), they now specialise in stand-up comedy. Something for everyone, then. You can search the site all you like, too, but you won't find any mention whatsoever of this album. A Google search for a cover scan didn't seem to cough up any other releases, so it seems it was a one-off. I would imagine it was only ever produced as something to flog at gigs to up their earnings a little; a 'conversation' with a punter stuck at the end of the last track (which features a pub scene, being a good ol' cockernee knees-up an' all that) has said audience member asking the price, to be told, "Three quid", which is pretty blatant commercialism by anyone's standards. Then again, that's what function bands are for. It's easy to mock, but at the end of the day, this kind of band isn't about art, it's about making a living and, as you sit on your fat arse in your office, contemplating another 25 years before you can retire, just think about playing in a function band. New Plains Medicine Our Drive to the Sun/Can a Man Mark it? Don't worry, it's not another God-bothering album, as the sleeve pic and title really should tell you. 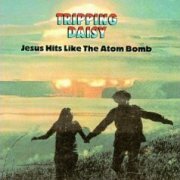 Tripping Daisy were a cross between modern psych and pop/punk, if you can imagine such a thing; they were certainly better than almost anything in the latter category, and as good as many in the former. Jesus Hits Like the Atom Bomb was their third album (of four), skipping between styles with aplomb, keeping the listener's interest up despite the album's length. Best tracks? Matter of opinion, as always, but opener Field Day Jitters sets out their stall admirably, while Your Socks Have No Name and Our Drive To The Sun/Can A Man Mark It? hold up the band's psych credentials in fine style. Wes Berggren plays Mellotron on a couple of tracks, with a hesitant-sounding flute part opening Geeareohdoubleyou, reprising later in the song and buried-in-the-mix flutes at the end of 8 Ladies; while it could be present elsewhere, chances are it's not. It sounds real and, given that the album's produced by noted Mellotronnist Eric Drew Feldman (Captain Beefheart), it could even be his old machine. The band split in 1999, after Berggren's untimely death, several of them going on to form the strangely popular Polyphonic Spree. This is a much better album than I'd expected, if a little inconsistent, although not really enough Mellotron to make it worth it on that front. Tritonus were another of those ELP-alikes that mainland Europe seemed to produce in great numbers in the '70s (and later), with non-'Tron users Triumvirat probably the worst offenders. 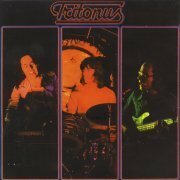 Tritonus were a keys/bass/drums trio (no surprise there, then), and keyboard man Peter K. Seiler used the usual run of instruments, although unlike Emerson, he stuck some Mellotron in too, although only on Tritonus, their first album. The music is perfectly competent prog, without being particularly exciting, and the same can be said of the 'Tron use. There seems to be an element of German electronic music creeping through in places, and to my ears, some of the material would've benefitted from being given a bit more room to breathe; just as the band hit a groove, they'd feel compelled to stop for an unaccompanied keyboard part, spoiling the flow. Or is that what prog's about? Anyway, both the lengthy Escape And No Way Out and Far In The Sky have little bursts of strings, leaving Gliding as the nearest the album gets to a 'Tron Track. Reasonable amounts of (again) strings, with some big block chords, but not the most exciting use you're ever going to hear. So; passable album, OK 'Tron. I believe this is available on a 2-on-1 CD with the follow-up, Between the Universes, although Seiler had got rid of his Mellotron by then, assuming he ever actually owned one. Not bad, not great. Incidentally, flick over their hopeless version of Lady Madonna; it's an almost completely unrecognisable two-minute instrumental take on the song that seems to have lost the melody somewhere along the way. For some strange reason, Triumph often found themselves lumped in with Rush; like the similarly-afflicted Mahogany Rush, they were a Canadian hard rock trio and since music journalists are a spectacularly unimaginative lot, I suppose the connection was inevitable, really. 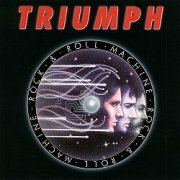 Over the course of their first, self-titled effort and Rock & Roll Machine, Triumph wrote several fairly epic numbers, chiefly the excellent Blinding Light Show/Moonchild from their debut, but the follow-up manages a worthy second place with the eight-minute The City, complete with 'Holst's-Mars-via-King Crimson' intro, War March, and a central acoustic section, El Duende Agonizante. The remainder of the record gives us above-average straightforward rockers in opener Takes Time, New York City Streets and the title track, complete with Rik Emmet's guitar freakout and a decent take on Joe Walsh's Rocky Mountain Way, amongst other highlights. It's unclear from the sleevenotes whether the credited Mellotron was played by bassist Mike Levine or extra keyboardist Mike Danna (a.k.a. Mychael Danna, of Elements non-fame), although the latter seems more likely, but we get some background choirs on War March and a beautiful opening flute section, plus choirs later on in part three, Minstrel's Lament. Over their next couple of albums, Triumph moved firmly in the direction of Party Metal (sample song titles: American Girls; I Live For The Weekend; Tear The Roof Off Tonight. Say no more). The warning signs were there from the off; 24 Hours A Day from Triumph was firmly in that mould, as is Rock & Roll Machine here, so it didn't take them long to let the style take over completely, sadly. I expect they made more money that way, but the world lost a good little band and gained a mediocre one. A word of warning; a UK release also called Rock & Roll Machine appeared in 1978, compiling tracks from their first two Canadian releases, so the one you want (assuming you want it at all) has the sleeve shown here, or the truly hideous effort pictured to the right to which the reissue was subjected that I couldn't bear to put next to the tracklisting. While the UK release is an excellent compilation, it doesn't include The City. Anyway; good album, but no Mellotron classic. You have to wonder quite how serious Trollfest are, given a) their name, b) their album title (whadd'ya mean, "What does it mean?") and c) their album sleeve. 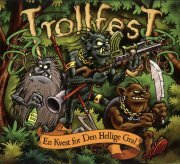 There are bands out there doing a similar folk/extreme metal hybrid in utter, deadly seriousness, but, for all that I have no idea what Trollfest are actually singing about on En Kvest for den Hellige Gral, I doubt if they're amongst them. Highlights? Probably the quite bonkers mariachi-meets-metal of Der Sündenbock Gegalte, for sheer novelty value, while the usage of various brass instruments injects a healthy dose of the unexpected. Lars Fredrik Frøislie plays one of his M400s on the album, with naught but background strings on opener Die Verdammte Hungersnot and En Gammel Trollsti. Can I recommend this? Depends on your definition of 'recommend', I suppose. For the music? If it sounds like your bag. For the Mellotron? Not really. 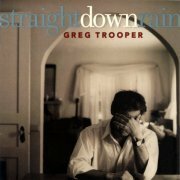 To call Greg Trooper (1956-2017) merely a 'country singer' would be to do him a disservice, going by the material on 2001's Straight Down Rain. Covered by Steve Earle, amongst others, his songs transcend the genre's usual clichés, at their best on Once And For All, the grimy Doghouse and Sometimes It Takes a Hurricane. Phil Madeira does his usual Chamberlin thing, with a high cello line and strings on Staring Down The Night and cellos on Doghouse. I wouldn't put Trooper (who, sadly, died of pancreatic cancer, aged 61) in quite the same elevated pantheon as Earle, but going by this album, he was a decent writer who died too soon. Jeff Trott (US) see: Samples etc. Troya (Germany) see: Samples etc. 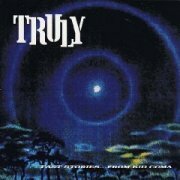 True Illusion (Brazil) see: Samples etc. True Myth, punningly named after mainman Tom Treumuth, have the (dubious?) distinction of having produced the world's second ever digitally-recorded album, the first being Stevie Wonder's rather more high-profile The Secret Life Of Plants. They were actually put together as a music school project, which probably explains the relatively late appearance of this very symphonic progressive release, especially in English-speaking Canada, where prog was about as ubiquitous as in the States. 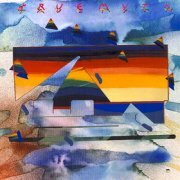 True Myth is typical American-sounding piano-driven progressive, and does most of the things you'd hope that such an album would do. There are hints of Gentle Giant about it, although an overriding vocal influence is the less-fashionable Styx. Individual highlights are difficult to pick out on a first listen; suffice to say the album's very consistent, if not quite a lost classic. Treumuth's Mellotron work is quite limited, being restricted to a couple of background string chords on It's Got To Be (possibly), and an upfront string part on the excellent Time And Time Again; his use on this track is good enough that it's a bit of a shame he didn't stick a little more of it down. Oh well. Anyway, as I said, good album, but don't go paying a fortune for it; it's one of those things you can see no-one bothering to ever put out on CD, partly because it was (surprisingly) on Warner Bros, and major labels make it more difficult (and expensive) to license back-catalogue. Pity. Seattle's Truly were formed from ex-early grunge group members (Soundgarden, Screaming Trees), and after a couple of releases on the ubiquitous SubPop, signed to Capitol in '95, who reissued their debut, Fast Stories... From Kid Coma. Although overlong, it's a pretty monumental piece of work, tempering the heaviness with a kind of '90s psychedelia, breaking up tracks like the lengthy Hurricane Dance into digestible chunks. Mainman Robert Roth contacted me a couple of years ago to confirm his ownership of an M400, and it's certainly very audible here. Opener Blue Flame Ford has some distant 'Tron on its ambient intro, plus faint flutes halfway through, but the album's first major Mellotron part appears at the end of If You Don't Let It Die, with a solo strings part to die for. More strings throughout Hot Summer 1991, then wonderfully out-of-tune church organ on Angelhead, alongside strings and flutes, making a nice change from the usual sounds. Full-on strings again on Virtually and the dying seconds of So Strange, with the 'Tron sliding in and out of the mix on 11-minute closer Chlorine. All in all, quite a 'Tron album. 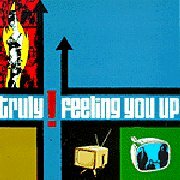 '97's Feeling You Up is even more eclectic and less grungy, containing elements of pop, hard rock, psychedelia, electronica and several other genres, thrown together in an appealing pot-pourri that ends up sounding like no-one in particular, which has to be a good thing. Plenty of 'Tron again, largely strings, although the intro to Air Raid features a major flute part, reiterated on the final, unlisted (though thankfully not hidden) track. Good use all round, with an authentically wobbly part on Repulsion, the nearest the album gets to grunge, while Trish Scearce plays it on EM7, although there's no great stylistic change on the track. 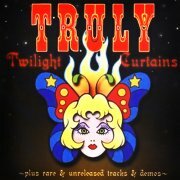 2000's Twilight Curtains seems to be the band's swansong, although they gig sporadically to the present day. It's a collection of odds'n'sods, recorded between 1991 and 2000, only released in Europe, for some reason. Unsurprisingly, it's a bit of a mixed bag, highlights including the bottleneck frenzy of Aliens On Alcohol, I Hit Ignition and weird, instrumental closer Mellotronica Symphonica (of course). Roth adds Mellotron to several tracks, with string swells on the semi-electronica opening title track, background strings on Leatherette Tears II and Wait 'Til The Night, more upfront ones on Queen Of The Girls and an excellent strings/flute combo on Mellotronica Symphonica. All of these are well worth hearing on both the musical and Mellotronic fronts, despite sounding rather different to each other. After the band's dissolution, Roth went on to play with Built to Spill, putting some Mellotron down on Perfect From Now on, also from '97. Truth & Salvage Co. (US) see: Samples etc. Tsuki no Wa (Japan) see: Samples etc. Kate Tucker & the Sons of Sweden (US) see: Samples etc. I'd put good money on none of the Velvet Underground having any idea that their anti-hippy/Summer of Love attitude would, fewer than twenty years later, become the template for a whole generation of musicians, not to mention Maureen "Moe" Tucker's über-basic drumming. With the benefit of hindsight, the Velvets can be seen as the anti-prog, before the genre even existed, which is probably why they were revered by the prog-hating music press from the late '70s onward. There's no denying that they were basic - that was the whole point - but I'd argue that you've got to have some musical knowledge, even if of an idiot savant variety, to be able to do something that simple. Anyway, after leaving the band in 1971, Moe left the business for some years, before being gently eased back into it in the '80s. She's released several albums and EPs since, including 1997's rather strange (not to mention strangely-titled) GRL-GRUP. 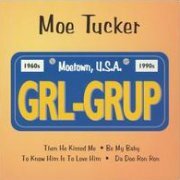 As you can see, it's Moe does Spector, with fairly straight takes on four classic girl group songs, Moe's quite English-sounding vocals to the fore. Instrumentation is fairly basic (Moe doesn't touch the drums), with producer Phil Hadaway on Mellotron strings on Be My Baby, with a pseudo-real strings part that's nice, but inessential. So; a quirky little release, with a sleeve design aping a US number (licence) plate, adding the witty 'Moetown, USA' above the title. Velvets fans will probably enjoy this, the rest of us know the songs anyway, but probably don't need to hear them in this form. One passable Mellotron track, that's it. Tugboat Annie (US) see: Samples etc. Emmanuel Tugny & the Lady Guaiba's Swing Band (France) see: Samples etc. 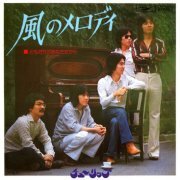 From Kyushu, in southern Japan, Tulip formed in 1968, initially as The Four Singers before moving to Tokyo and releasing their first album in 1972. 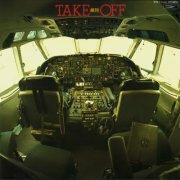 '74's Take Off is (I think) their third studio release, a decent enough Beatlesesque pop/rock album, probably at its best on the brief opening title track and Boku Ha Yoki Na Nonkimono. Kazuo Zaitsu plays Mellotron, with chordal strings and a brief burst of brass on September and a chordal flute/strings mix, by the sound of it, on the brief Kanashimi Ha Itsumo, although the strings elsewhere are real. The same year's Boku ga Tsukutta Ai no Uta is one of my odder purchases. I knew I was after a few Tulip releases, so when I found a copy for a whole £2.00 in a well-known London second-hand shop, I was in a slight quandary: do I buy this, not even being able to read the title, let alone being able to remember whether or not I needed it, had I been able to read it in the first place? The lush packaging (a large, illustrated booklet) decided me (I'm easily swayed), so I saw it as serendipity when it turned out to be one of the titles I was after. And it is... A completely mainstream Japanese mid-'70s pop/rock album, apparently with some kind of environmental theme, as told in the accompanying booklet. It's completely harmless, but also really rather dull, especially when you're unable to understand the lyrics. But what, precisely, is going on with the Beach Boys' I Get Around rip/pastiche on Watashi No Idle? 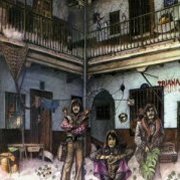 The album was actually recorded in the UK, at Abbey Road and another London studio, one of which presumably either owned or hired in a Mellotron, allowing someone, probably Kazuo Zaitsu, to play flutes on Uncle Spaghetti (Sanmon Kashu). 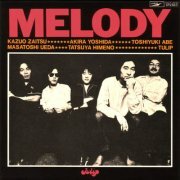 After a pair of Mellotron-free releases the following year, '76's Melody carries on in a similar vein to their work of a couple of years earlier, at its best on Ano Musume Ha Mahotsukai and Dakara Hanashitehoshii. Someone (Zaitsu again?) plays Mellotron on three tracks, with chordal flutes on Kakeochi No Susume, high and low string lines and chordal choirs on Seishun No Iro and upfront strings on Tomodachi No Anata Dakara, while the same year's non-album Kaze No Melody (backed with Tomodachi No Anata Dakara) has an occasional high string line. 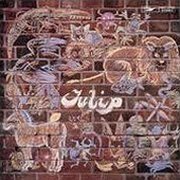 There's one more Tulip Mellotron album, '73's Live!! Act Tulip, which I shall review when I get to hear it.